Sue Tayon of Overland, Mo. 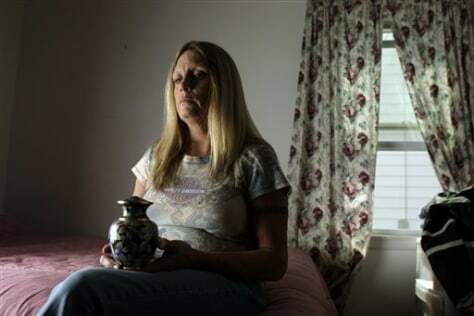 holds an urn containing the ashes of her daughter Nikki, 28, who died of an overdose of heroin. The mother said the heroin was 90 percent pure.